Heather Rosentrater grew up in Spokane, WA and has been helping residents in Eastern Washington get electricity for the entirety of her career. After all, her mother was an electronics technician so power runs in the family. 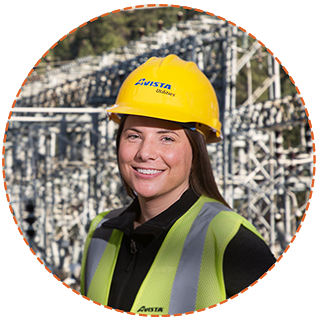 As part of the leadership team at Avista, Rosentrater uses her experience in electrical problem solving to figure out how to better lead her team. Heather won first place in her 3rd Grade science fair with a robot she made herself.